Do you have a favorite secluded spot where you retreat from a noisy world? 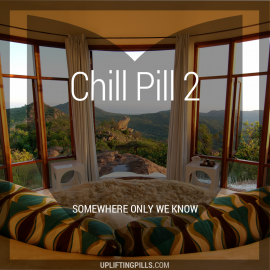 This chillout mix will help give you back the positivity you need to face it back. I have now played this 3 times in a row because it’s soothing, uplifting, peaceful, beautiful and relaxing. it takes away any anxiety you have and let’s you breathe knowing everything will be alright. It is one if not his finest. I simply love it! I wish there was a way to auto repeat it, this would be a great mix to fall asleep to!